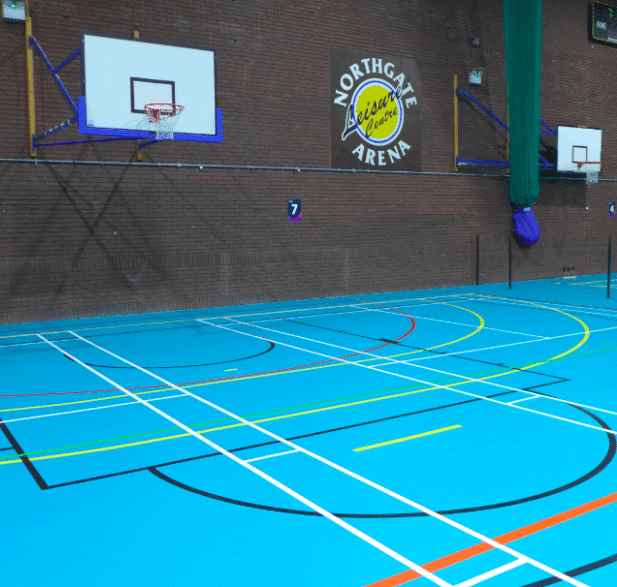 The existing Granwood floor at the Northgate Arena was over 20 years old and was starting to look worn. Another sand and seal specification was looking unlikely due to the condition. 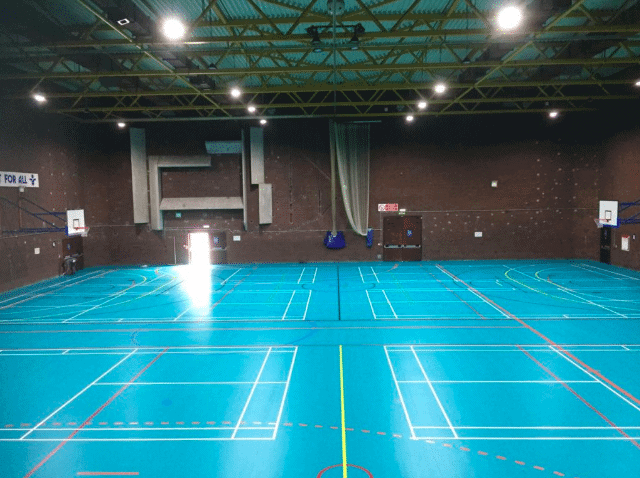 We have a long association with Brio Leisure as we have previously installed a sports floor at Christleton Leisure Centre. 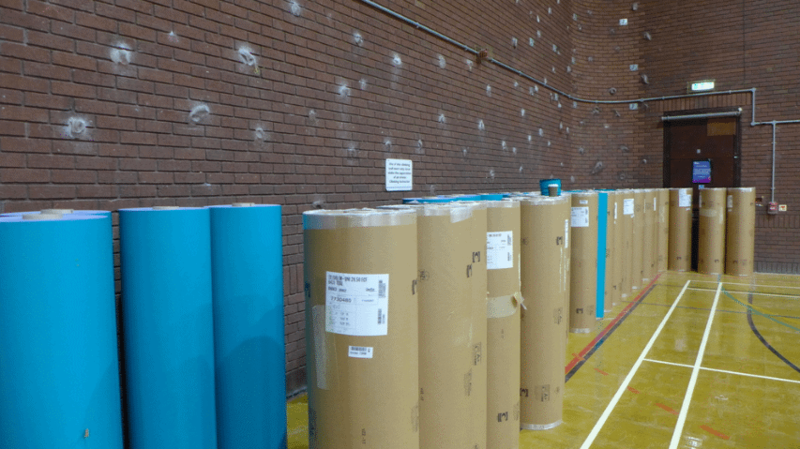 We have also worked with the site manager on previous England Handball Installations. We were asked to provide a solution and a quotation to install a new surface that would be suitable for the mixed uses for the busy centre. Our first choice was a Gerflor Eco Fit system. We put this forward with confidence as we knew it would be fit for purpose which worked for the client. The centre has a bank of bleacher seating which they wanted to retain. We needed to ensure they would work with the new floor. Rebound boards and post sockets were also a consideration when putting our specification together. The centre had lived with the existing line markings for many years. They requested a new simplified layout which we were happy to undertake. Several floor repairs were also carried out, doors were trimmed and new door thresholds were installed. Overall the installation has provided the centre with a tremendous visual transformation. This has changed the facility into a first class multi use area. 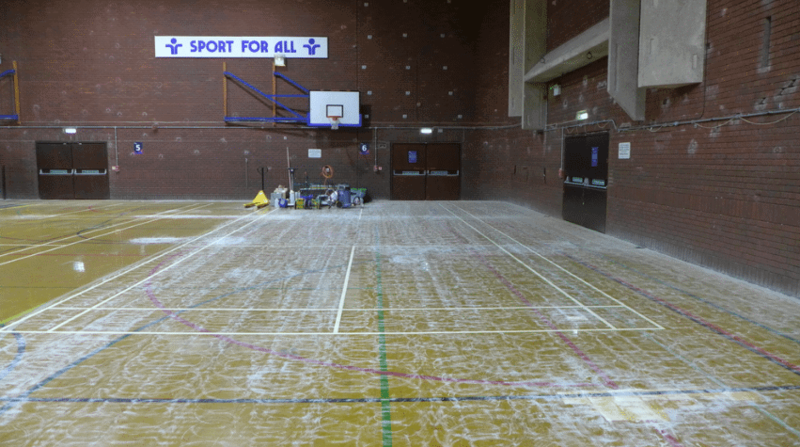 We provided support and cleaning information on how the new floor needs to be looked after as the new surface is very different to their old Granwood Floor.